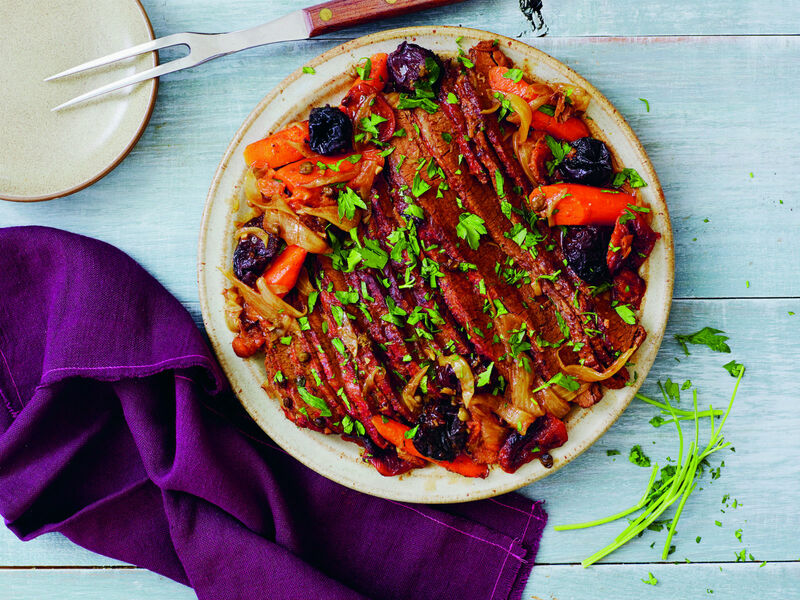 Learn more about blogger Jennifer Segal and her best brisket. 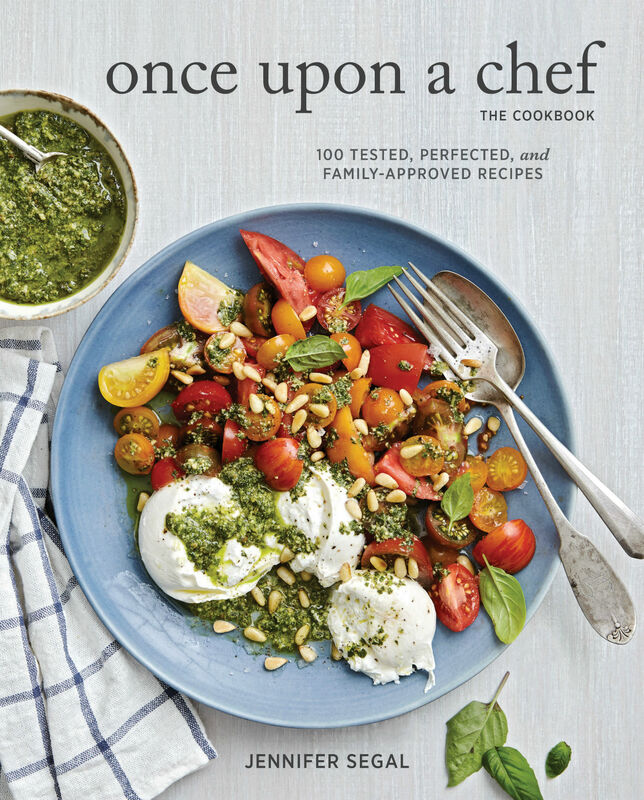 Jennifer Segal is a formally trained chef, food blogger, and now cookbook author whose first book, Once Upon A Chef, was recently released. While she might have caught the cooking bug in France and gone on to culinary school, her style is unfussy, family-friendly, and delicious. I had the chance to chat with Jenn about her new book, her Jewish upbringing, and her best cooking tips. Make sure to check out her recipe for Moroccan brisket and her tip for how to eat poppy bagels. What is your fondest memory of Jewish food from your childhood? It would have to be enjoying my paternal grandmother’s mandel bread. Whenever she visited us from Buffalo, New York, she’d walk off the plane carrying cookie tins filled with her famous chocolate chip mandel bread. Everyone in the neighborhood looked forward to her visits! It disappeared quickly, so we’d always bake more with her while she was in town. What inspired you to go to culinary school? Funny enough, I didn’t grow up in the kitchen tied to my mother’s apron strings. My mother actually hates to cook! I fell in love with cooking while studying abroad in France my sophomore year of college. I lived with a French family and my host mother was a wonderful cook. I spent a lot of time in the kitchen with her practicing my French, and I picked up a love of cooking as well. After graduating college, I spent one year working in a mindless office job before realizing that I had to follow my heart and go to culinary school. And lucky for me, there was a top-notch school in my own backyard: L’Academie de Cuisine in Maryland. What’s the one tool you can’t live without or that you would tell burgeoning cooks they must purchase? The one kitchen item that I absolutely can’t live without is not something that I use every day or even every week for that matter (that would have to be my garlic press, as I can’t stand smelly garlic hands!). Rather, it is the kitchen tool that alleviates the most cooking anxiety for me: my digital cooking thermometer with a remote probe. I think the most nerve-wracking thing to cook is a large roast, like a whole beef tenderloin or turkey, because it is costly and difficult to tell when it’s done — and I’m usually making it for company. If you undercook a roast, you’re scrambling at the last minute to put it back in the oven when the rest of dinner is ready to be served; and if you overcook it, it’s ruined. I love my remote probe thermometer because it eliminates all of the guesswork. You simply insert the probe into the raw meat, shut the oven door, set the display next to the oven, and go about your other cooking. An alarm will sound when the roast reaches the desired temperature, leaving you with a perfectly cooked roast — no poking, cutting, peeking, or worries involved. I would not cook a roast without it! What is the secret to perfect brisket? I think the secret to a perfect brisket is following Nach Waxman’s recipe and method, which was originally published in The Silver Palette New Basics Cookbook in 1989. It’s surprisingly simple: Unlike all other briskets I’ve made, there’s no wine, stock, or bottled sauces added. Instead, the brisket is cooked on top of a massive heap of onions, which slowly caramelize and release their juices, making a flavorful French onion soup-like braising liquid all their own. I have this recipe on my blog, and I also did a wonderful Moroccan variation for my cookbook with Middle Eastern spices, dried fruits, and capers. It’s one of my favorite recipes in the book. What is your favorite flavor bagel? Poppy seed has always been my favorite — I love the nutty flavor and crunch — but lately I’m rethinking that choice when out in public. A poppy seed bagel should come with a side of floss! Literally meat and potatoes, this dish is a Cuban family favorite.